Dust storms, scorching temperatures and lengthy delivery times have put the Pentagon’s new drone base in the Sahara in Niger more than a year behind schedule and $22 million over its original budget. Here is what images from space revealed about the construction process that started in 2016. A mace stolen from Nigeria's Senate floor Wednesday has been found under a flyover in Nigeria's capital, Abuja. On a hot afternoon at a sprawling settlement on the outskirts of Mombasa, Phyllis Omido makes her rounds. 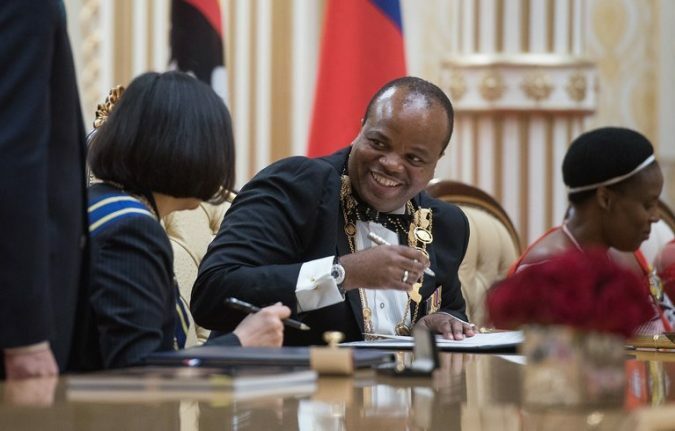 Swaziland’s King Wants His Country to Be Called eSwatini Photo King Mswati III of Swaziland. Credit Taiwan Presidential Office, via EPA, via Shutterstock A landlocked, rural nation in southern Africa, Swaziland has significant problems. Nearly a third of the country’s population lives in extreme poverty, and about as many are infected with H.I.V., one of the world’s highest prevalence rates for the virus. Life expectancy is low, around 50. A recent drought and an infestation of armyworms, an invasive species, devastated crops. The king, who has reigned since 1986, announced the name change — an adjustment, really — during a ceremony in the city of Manzini on Th..
Big Protests in South Africa Force Ramaphosa to End London Visit Photo President Cyril Ramaphosa of South Africa was in London for his first visit to a meeting of Commonwealth leaders since February, when he replaced Jacob Zuma. 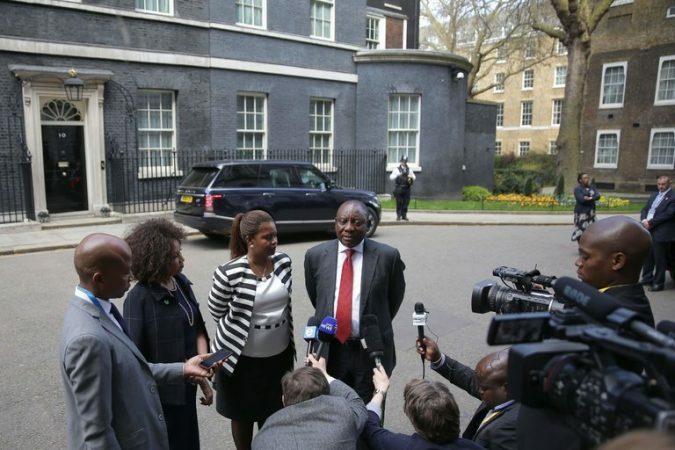 Credit Daniel Leal-Olivas/Agence France-Presse — Getty Images LONDON — South Africa’s new president, Cyril Ramaphosa, who had traveled to London this week to assure global investors of his determination to tackle corruption in his country and restore faith in its public institutions, cut short his trip on Thursday to deal with unrest at home — a vivid indication of the challenges he faces. The protests in the North West Province, in which demonstrators seeking better jobs and housing, and improved roads and hospitals, clashed with the police, were the biggest in the two months since Mr. Ramaphosa took office. His predecessor, Jacob Zuma, was tarnished by scandal and deeply unpopular during much of his nearly nine-year tenure, and he was eventually forced out in.. The Nigerian Senate was on high alert Wednesday after armed men interrupted a session at Nigeria's parliament, stealing its mace. 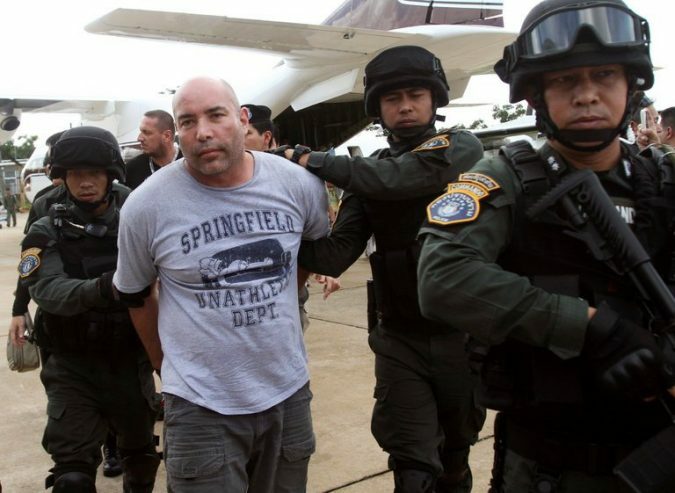 3 American Mercenaries Are Convicted in Murder of Filipino Woman Photo Joseph Hunter, a former Army sergeant, was convicted in connection to mercenary work for a South African crime lord. Credit Sakchai Lalit/Associated Press Betrayed by their former boss — a South African crime lord who testified against them — three American men who worked as soldiers of fortune were convicted on Wednesday of a murder conspiracy plot to assassinate a real-estate agent in the Philippines six years ago. After only two hours of deliberations, a jury in Federal District Court in Manhattan returned a guilty verdict against the men, Joseph Hunter, Adam Samia and Carl D. Stillwell. The government’s case against the defendants — presented at a spellbinding three-week federal trial — was built on the testimony of Paul Le Roux, a murderous kingpin who trafficked in guns, drugs and gold, and employed a private army of mercenaries on four continents to protect his assets and kill on his behalf. After Mr. Le Roux..
Diamonds in a Meteorite May Be a Lost Planet’s Fragments Photo Fragments of the 2008 TC3, or Almahata Sitta, meteorite that fell to Earth in 2008. The diamonds discovered inside one of the fragment may have come from a protoplanet that orbited the sun billions of years ago. 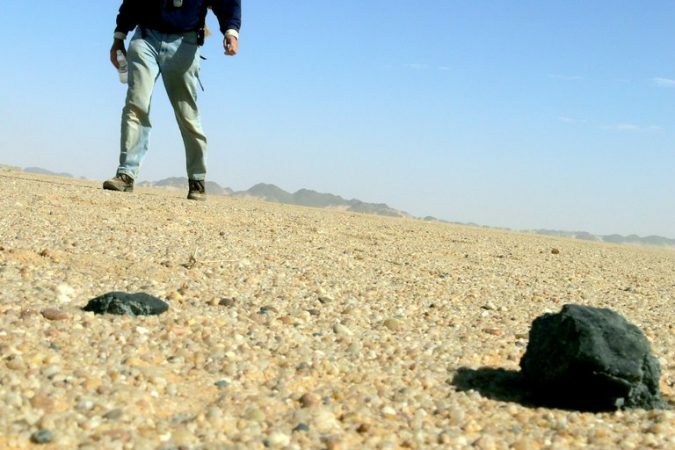 Credit Peter Jenniskens/SETI/NASA In 2008, chunks of space rock crashed in the deserts of Sudan. Diamonds discovered inside one of the recovered meteorites may have come from a destroyed planet that orbited our sun billions of years ago, scientists said on Tuesday. If confirmed, they say, it would be the first time anyone has recovered fragments from one of our solar system’s so-called “lost” planets. “We have in our hands a piece of a former planet that was spinning around the sun before the end of the formation of today’s solar system,” said Philippe Gillet, a planetary scientist at the Federal Institute of Technology in Lausanne, Switzerland and an author of the paper that was published in Nature Communications. 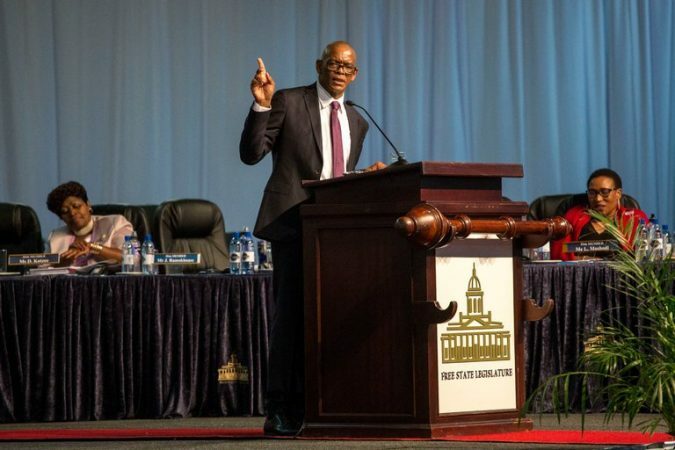 South Africa to Investigate 2 A.N.C. Officials in Farm Corruption Case Photo Ace Magashule, secretary general of the African National Congress, was the premier of the province of Free State from 2009 to this year. Credit Joao Silva/The New York Times JOHANNESBURG — A top corruption inspector in South Africa has announced that she will investigate two high-ranking African National Congress politicians in a case related to the abuse of public funds for a dairy farm — a rare sign that powerful members of the governing party could be held to account for endemic corruption under former President Jacob Zuma. The inspector, Public Protector Busisiwe Mkhwebane, said on Tuesday that the inquiry would focus on Ace Magashule, secretary general of the A.N.C, and Mosebenzi Joseph Zwane, the former minister of mineral resources — the two officials behind the dairy farm project in Vrede, in the province of Free State. Prosecutors describe the project, which was meant to help struggling black farmers,..